PT. Toyota Motor Manufacturing Indonesia (TMMIN) join on Job Fair which are organized by and conducted at 5 top universities in Indonesia. During Job Fair timing (16 September - 31 October), online application will only open following Job Fair schedule. 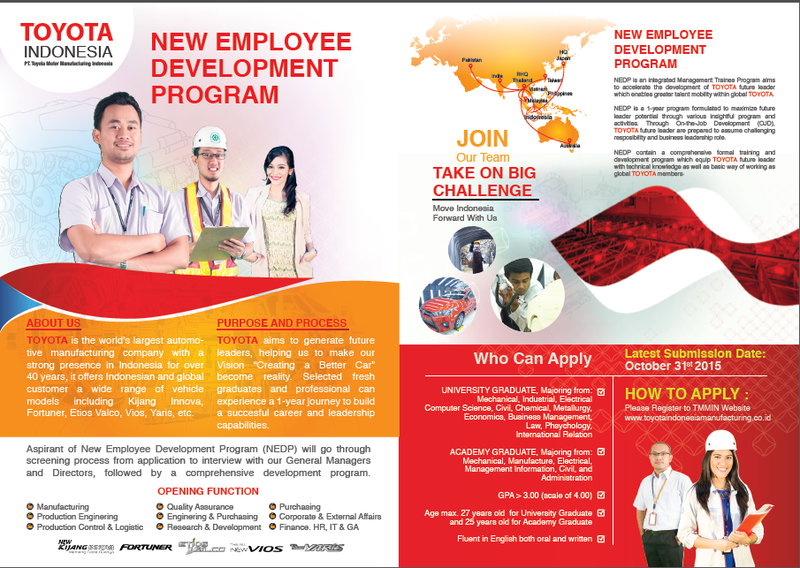 Come and be apart of Toyota Motor Manufacturing Indonesia big family.